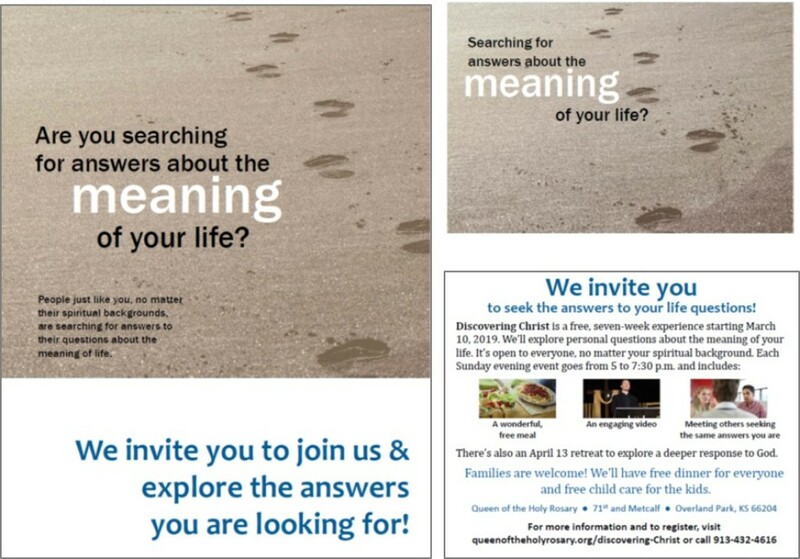 Trying to figure out who YOU could invite to Discovering Christ? Here are helpful questions to think about who God wants you to reach out to and extend and invitation. Queen of the Holy Rosary pastor, Fr. Bill Bruning, on the importance and power of a simple invitation to Discovering Christ. 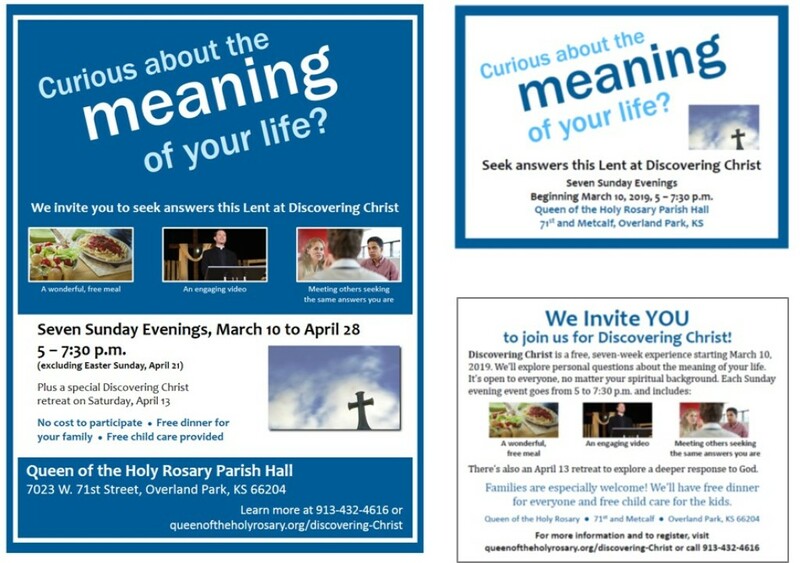 We have fliers and post cards you can download to reach out to family, friends, and strangers and invite them to participate as you accompany them in Discovering Christ.